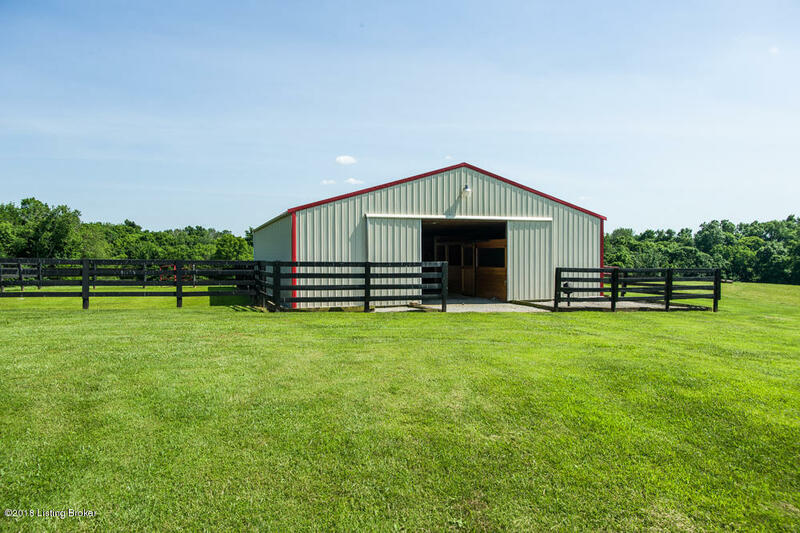 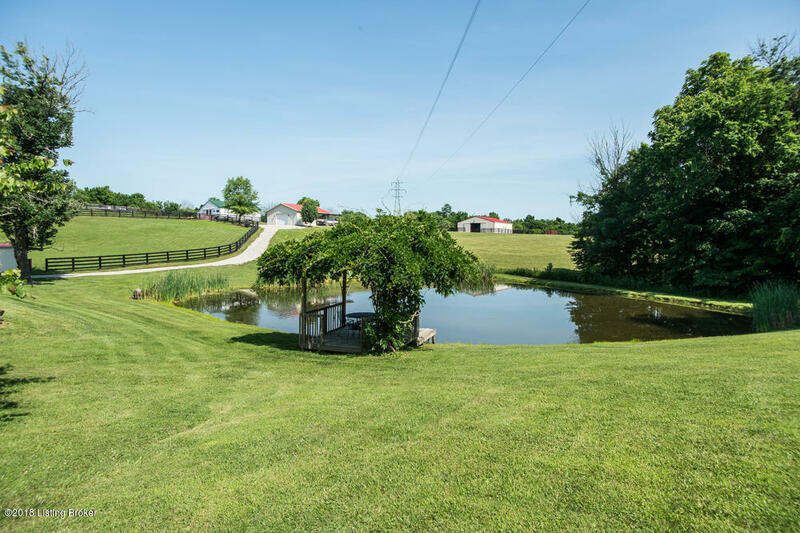 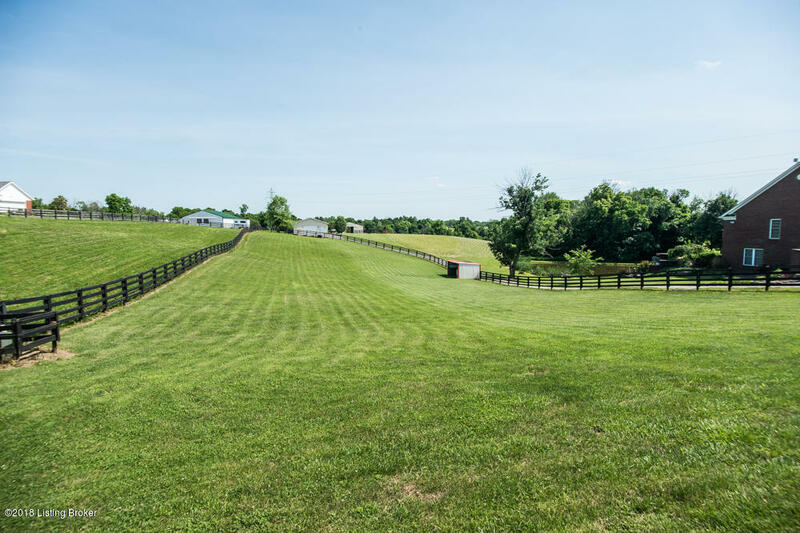 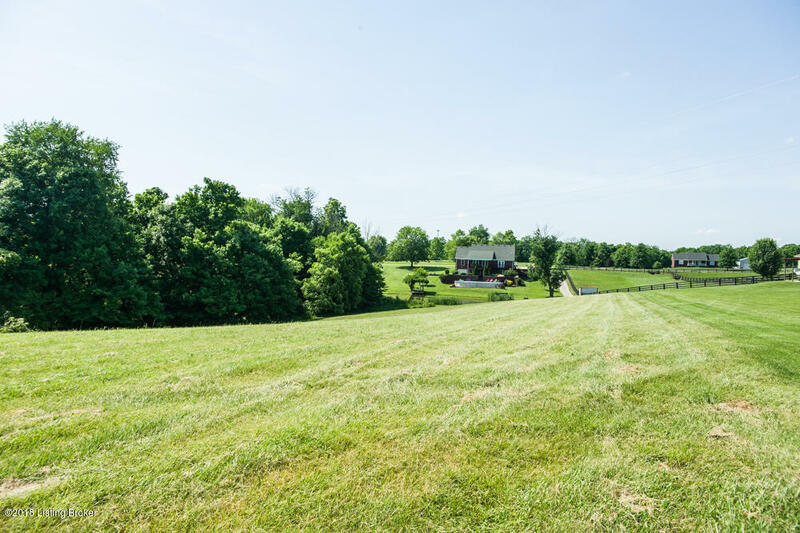 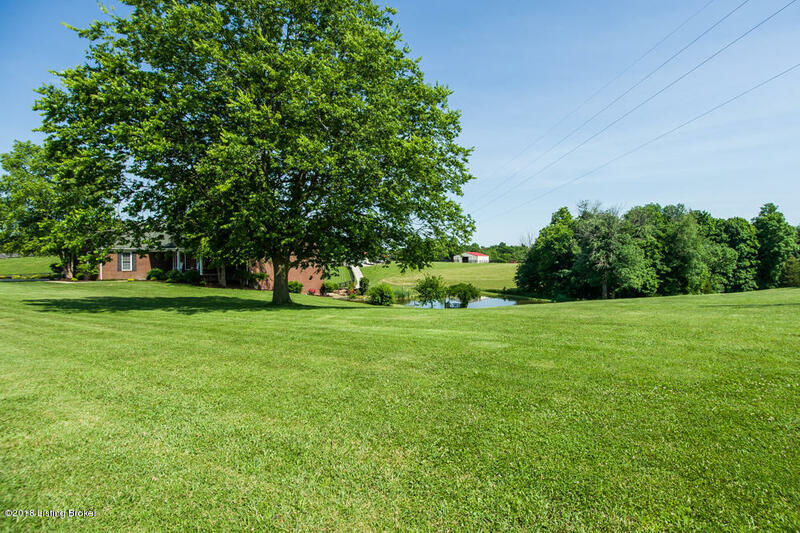 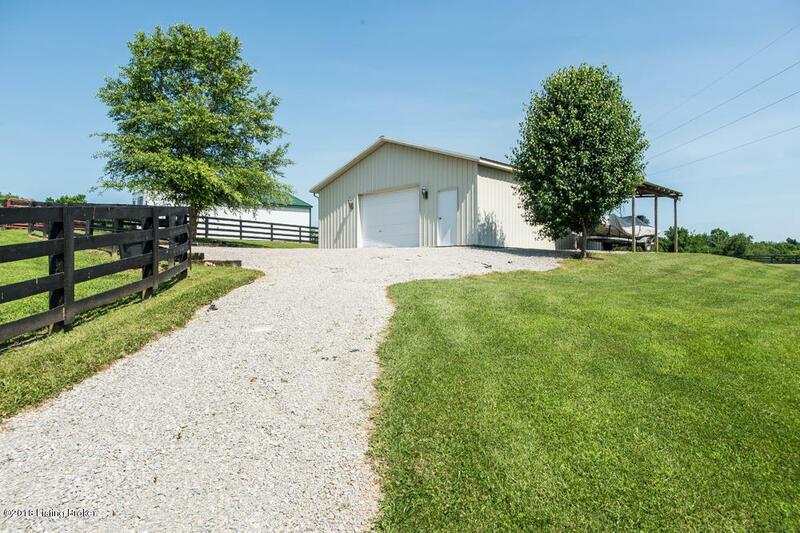 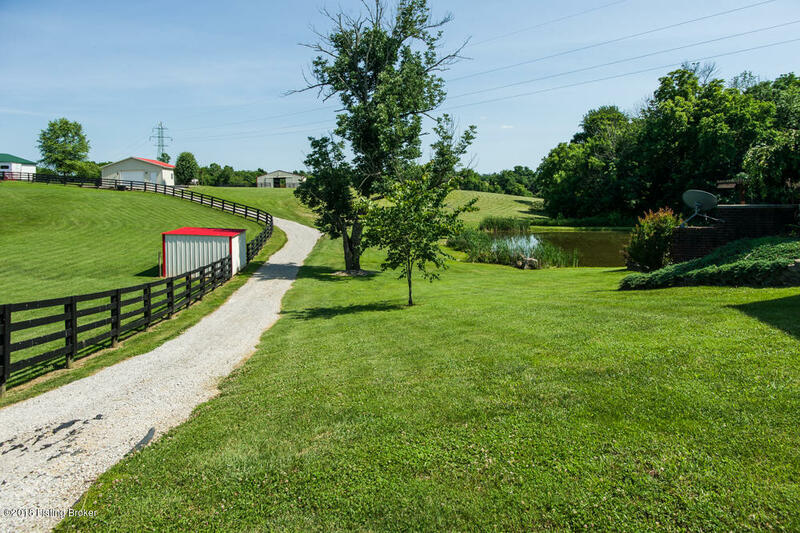 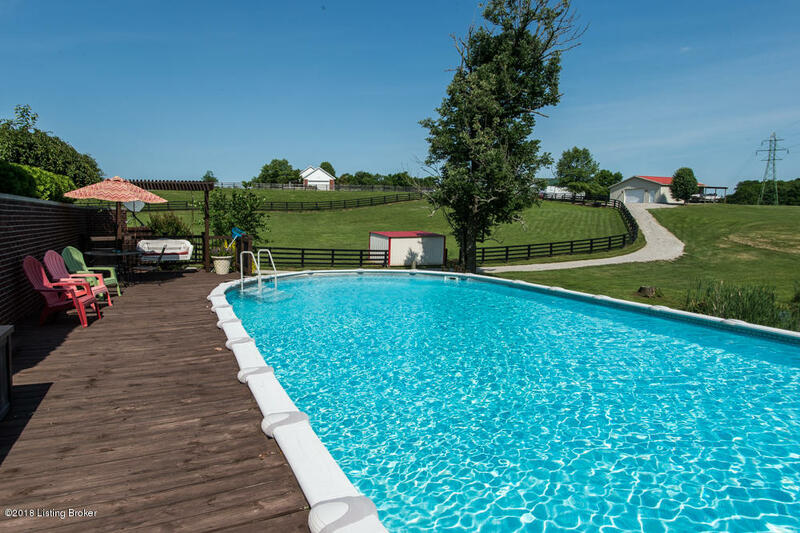 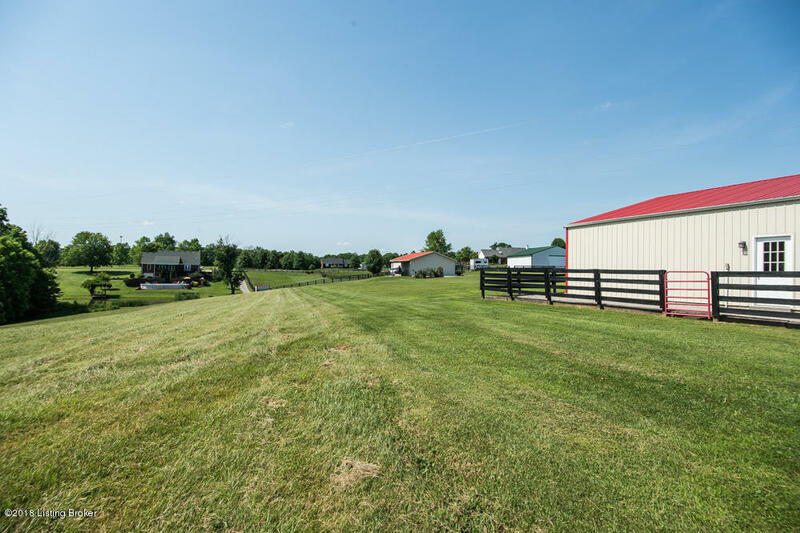 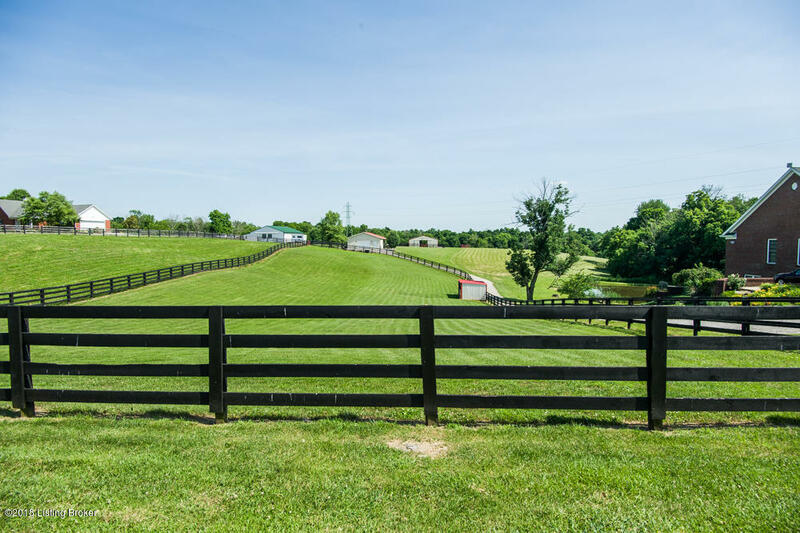 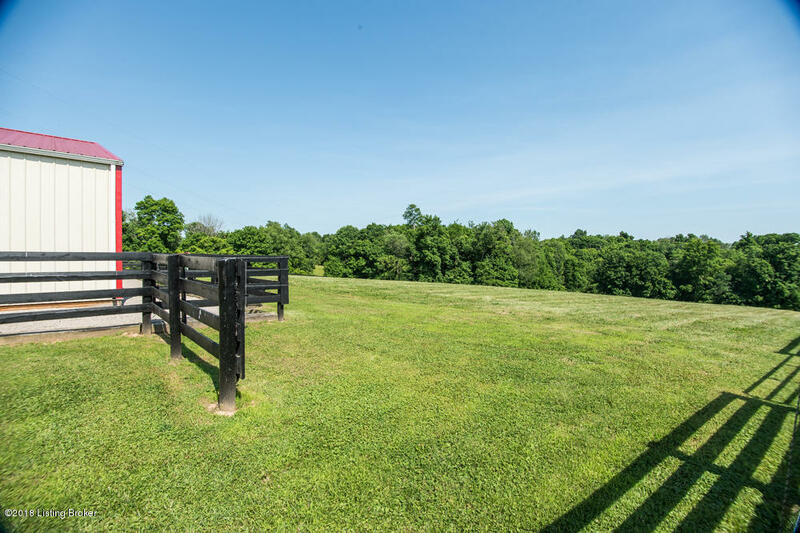 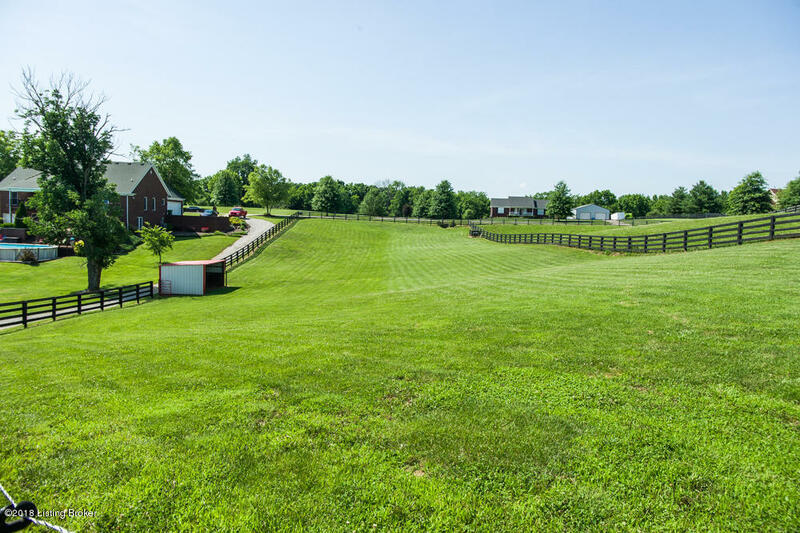 Turnkey horse farm on 11 rolling acres in the heart of saddlebred country. 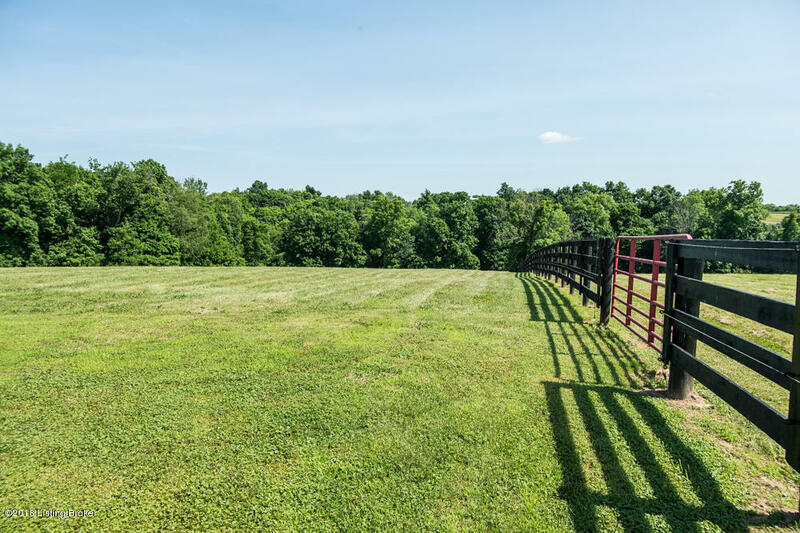 2 paddocks w/ 4-board fencing (easy to add another paddock). 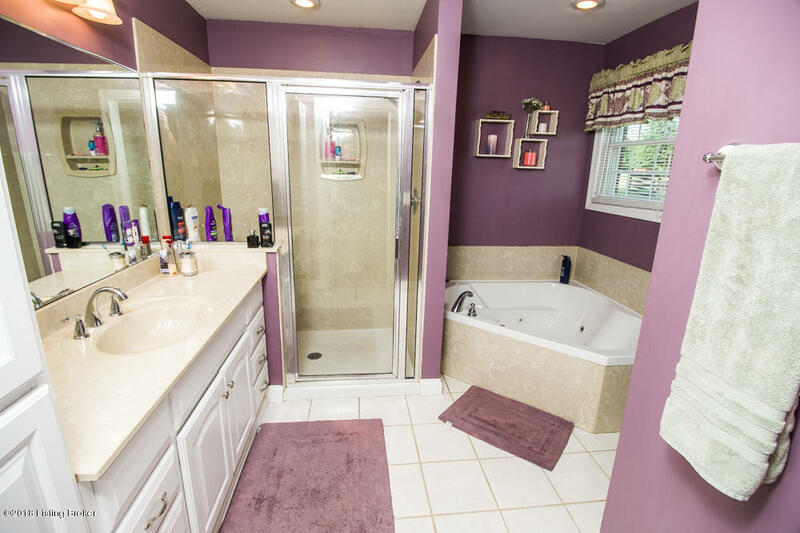 1 run-in & 3 frost-free water spigots. 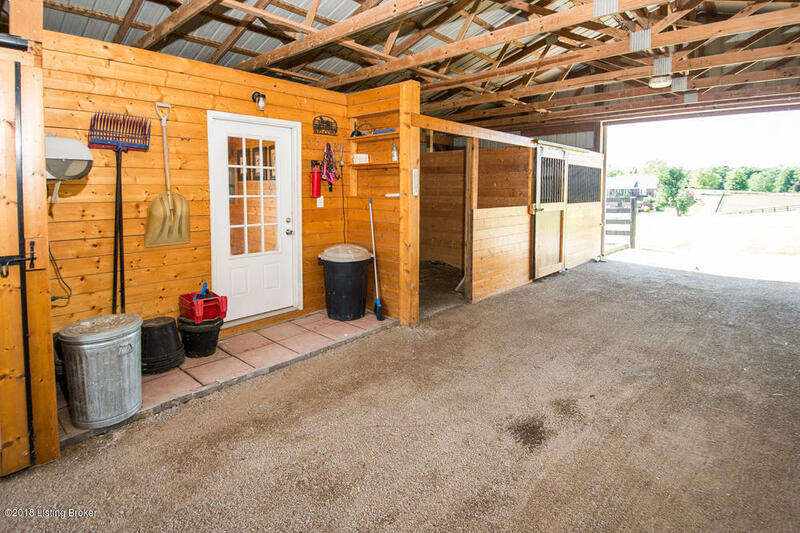 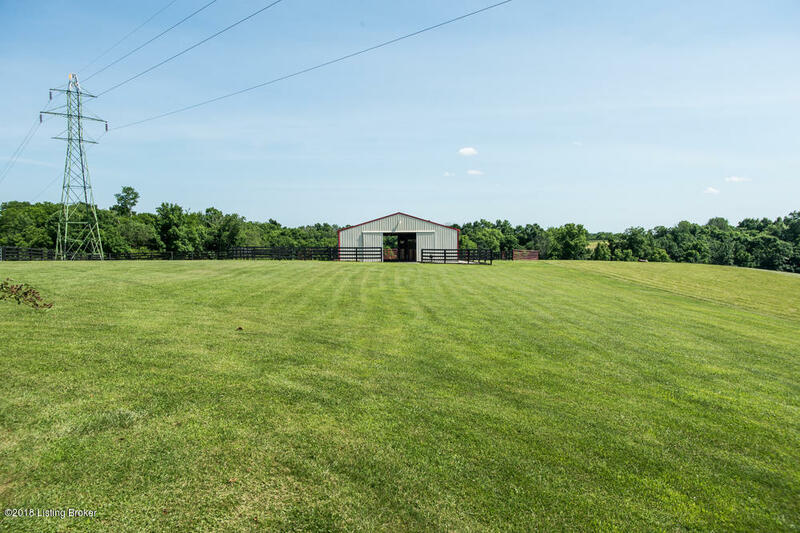 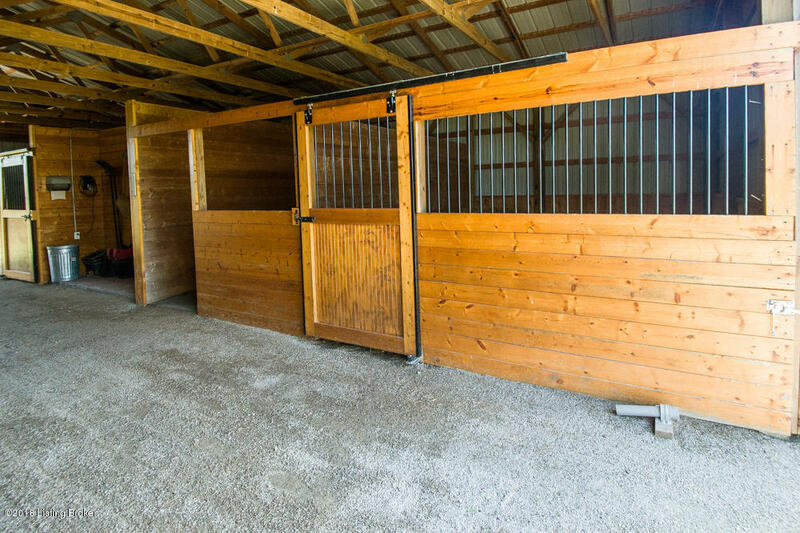 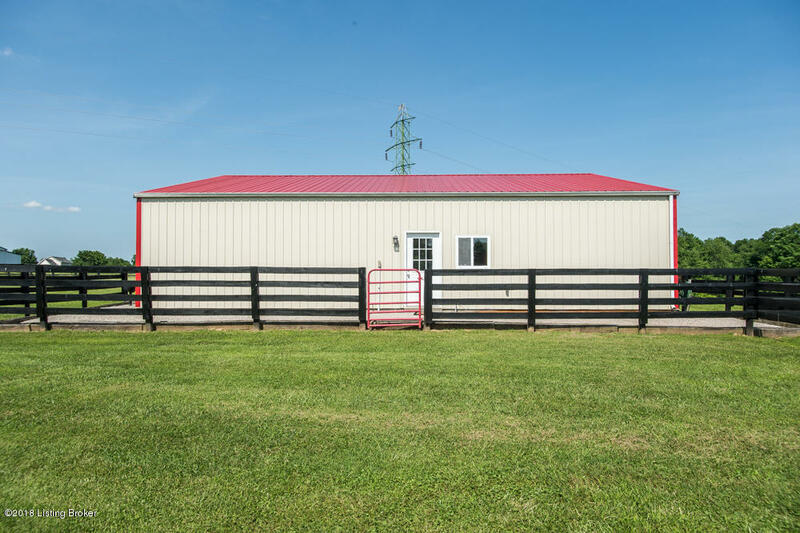 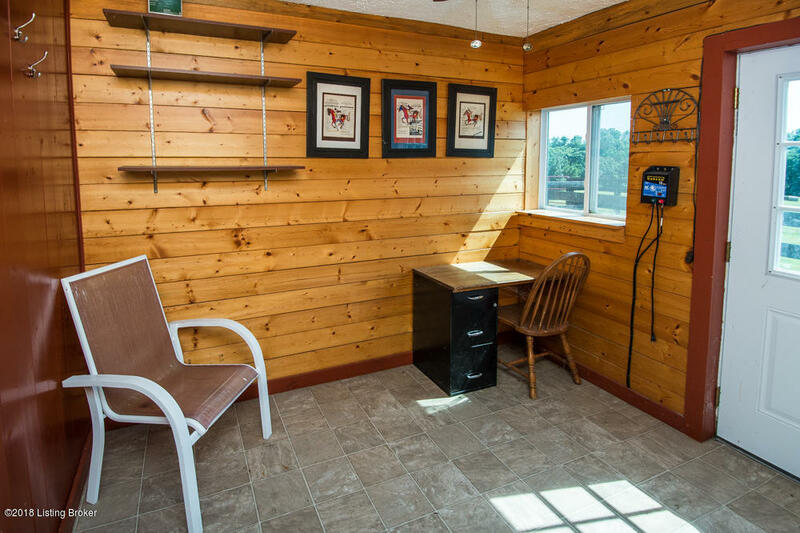 40x42 horse barn has electric/water, five 12x14 stalls, one 14x16 foaling stall, 10x14 tack room/office. 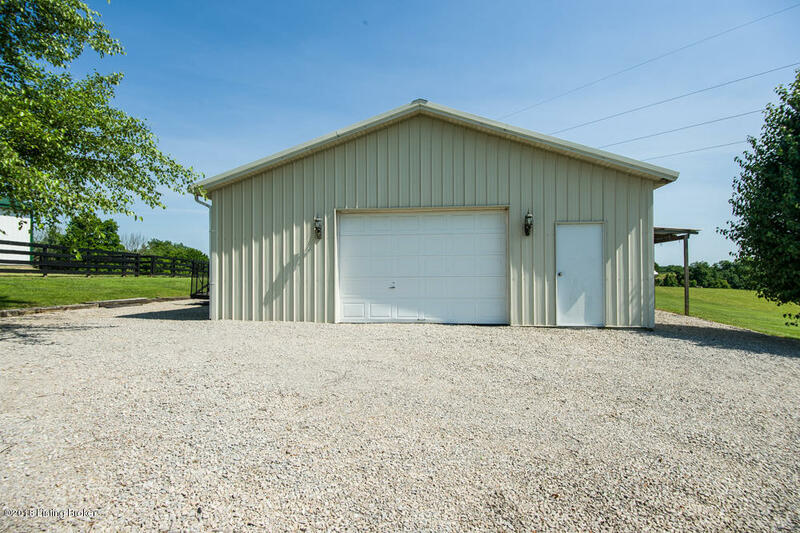 Additional 30x32 detached garage/equipment barn. 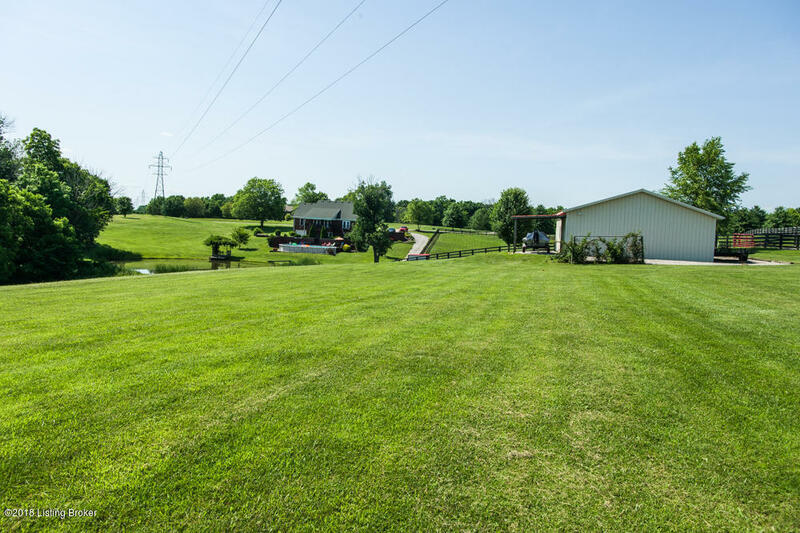 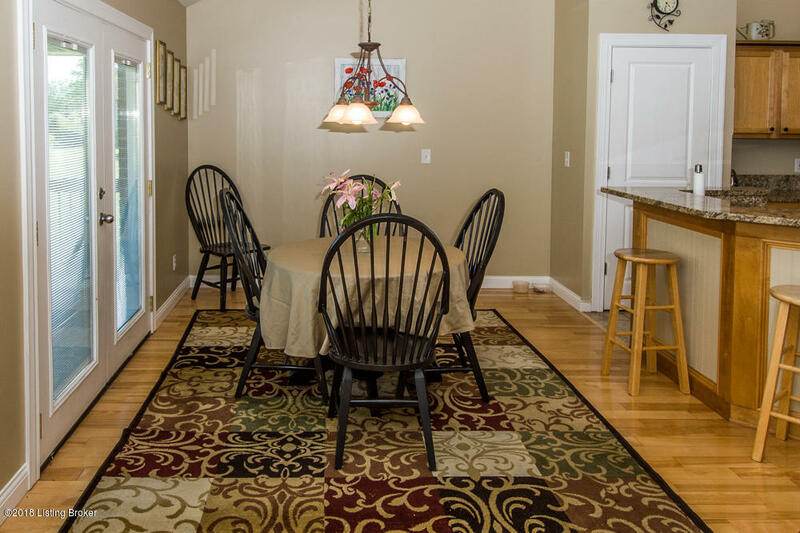 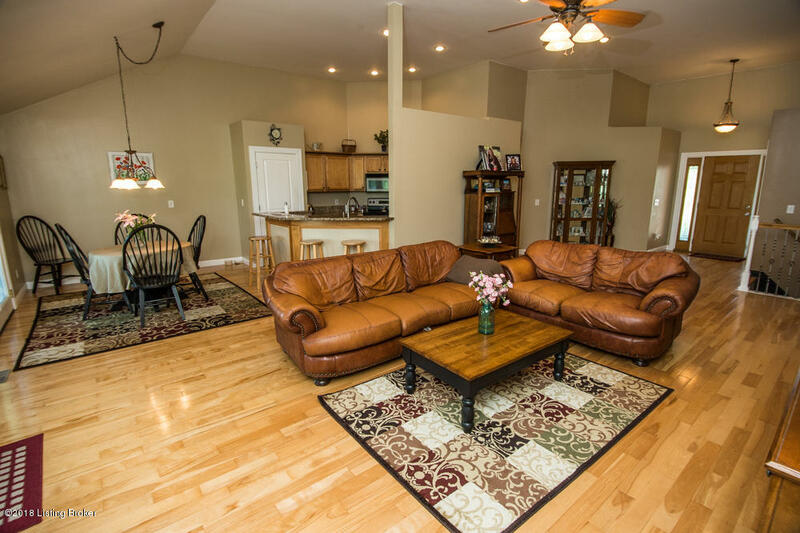 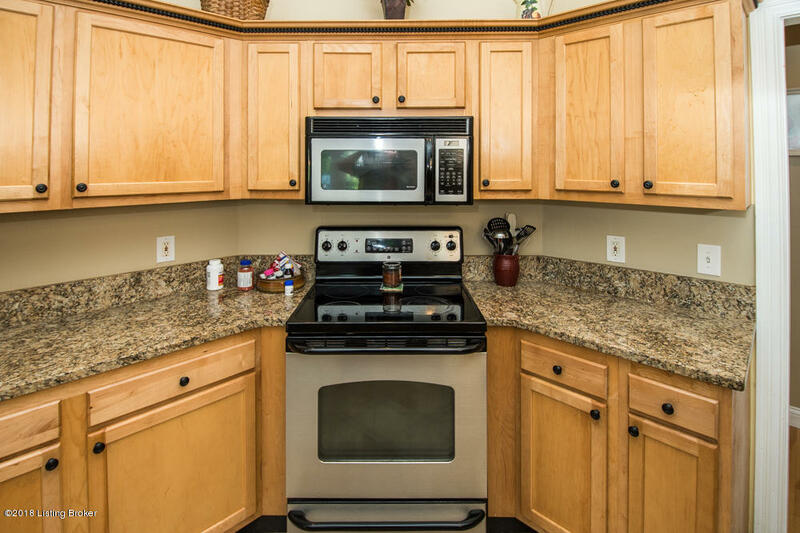 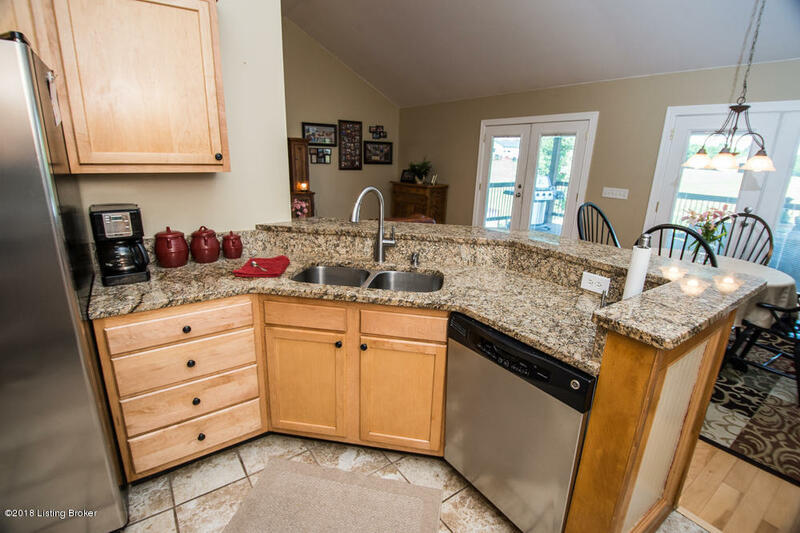 Easy access to Shelby Trails & Taylorsville Lake Horse Camp. 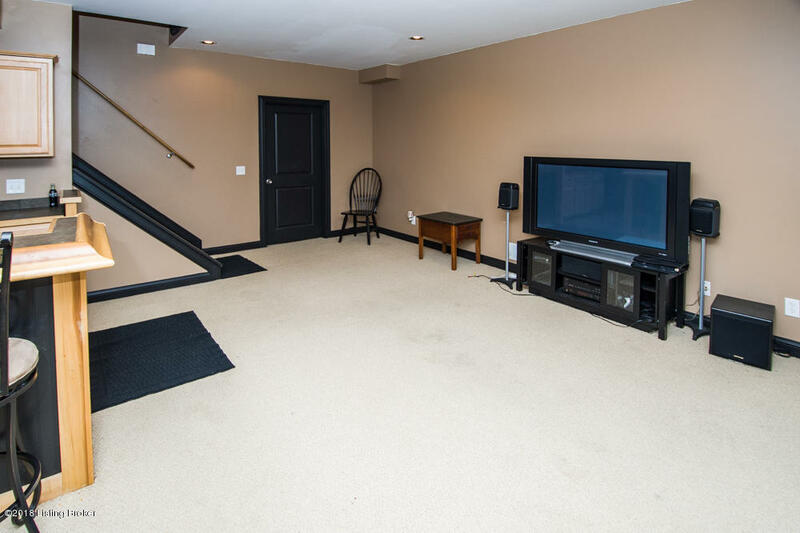 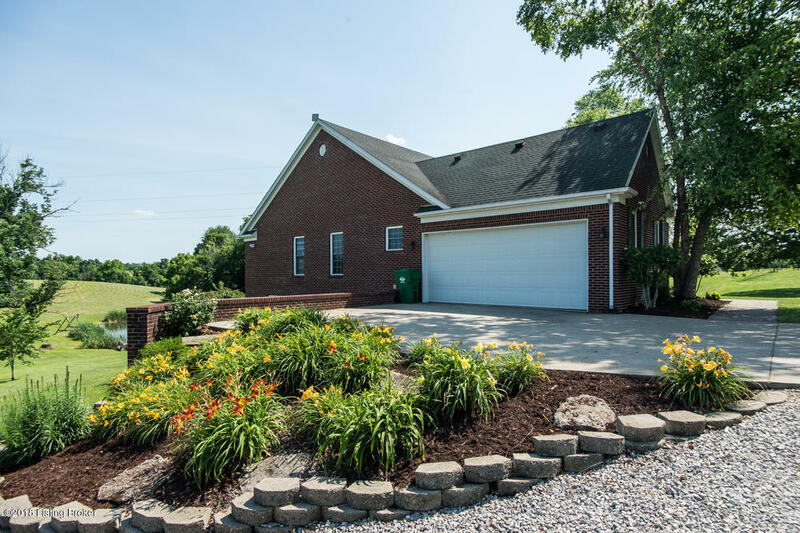 Wonderful large brick ranch home on basement. 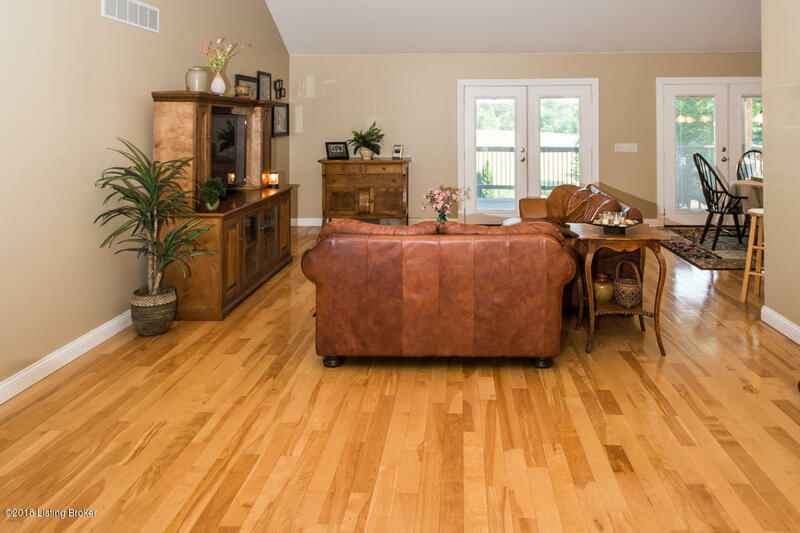 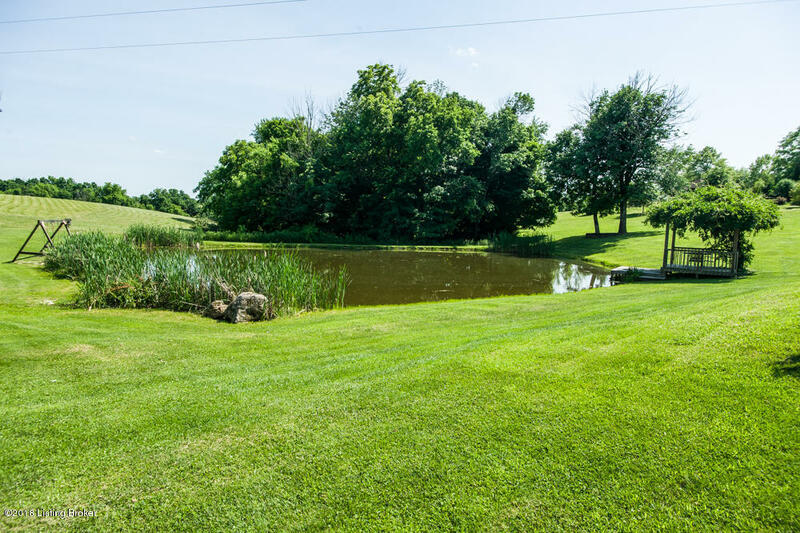 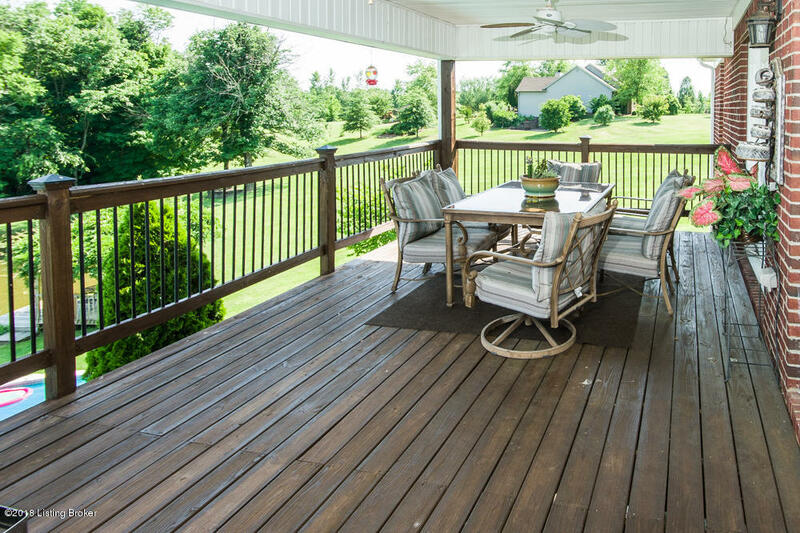 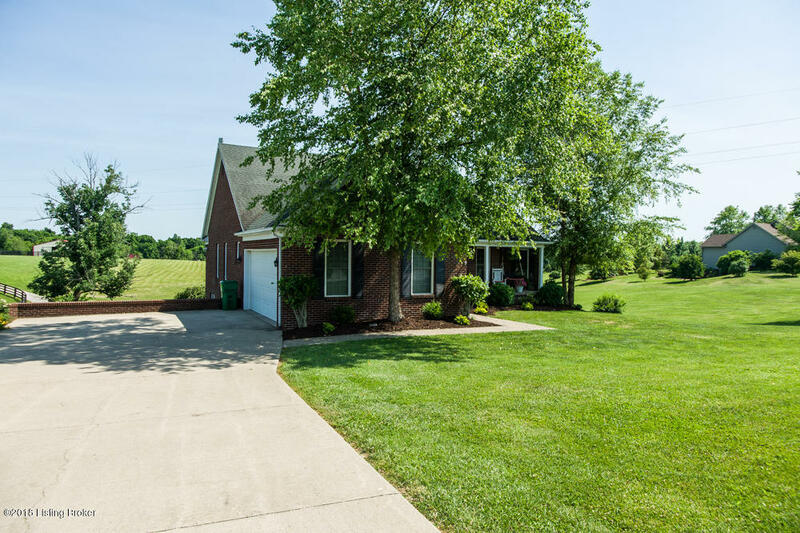 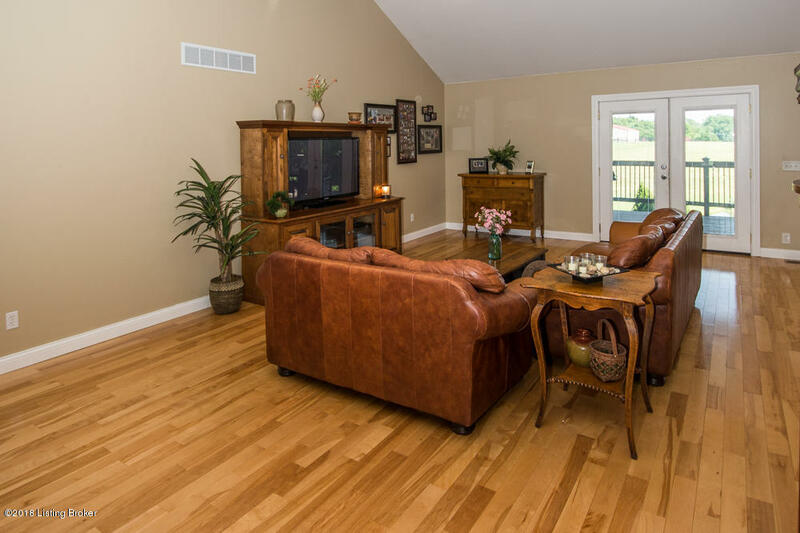 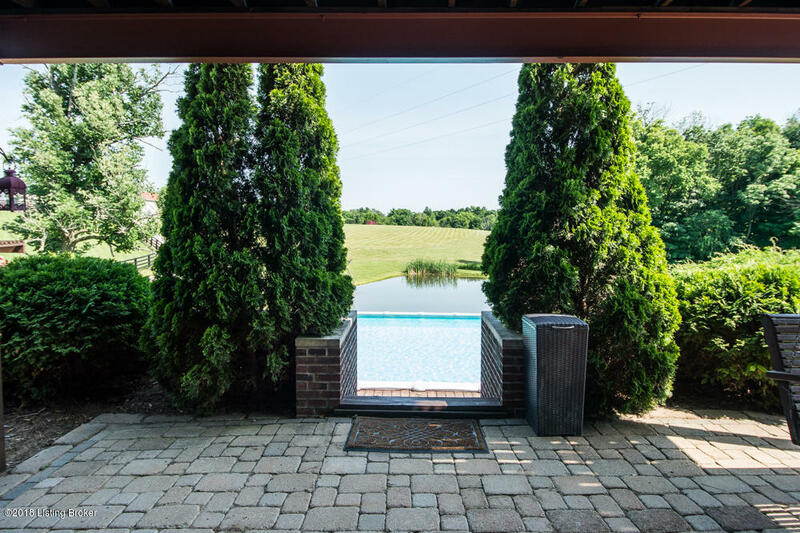 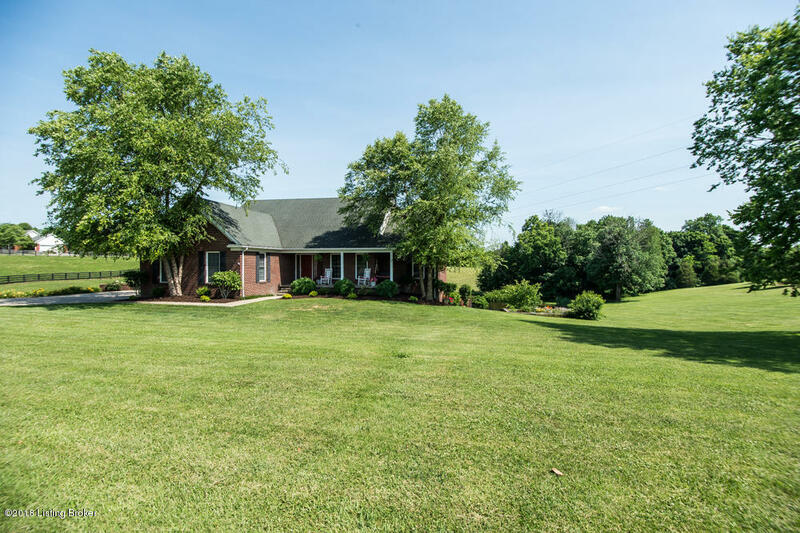 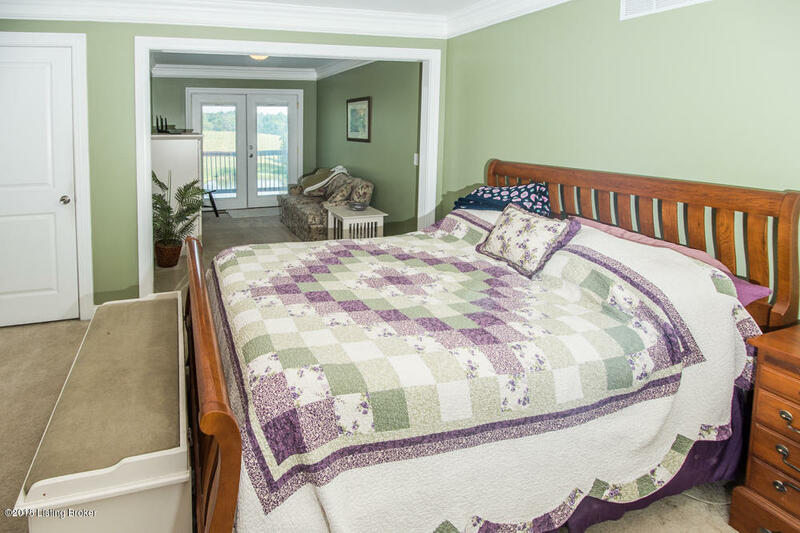 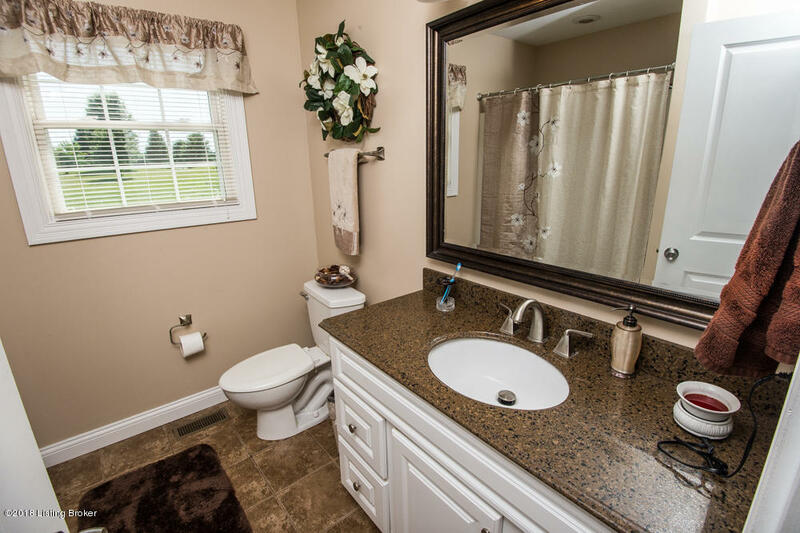 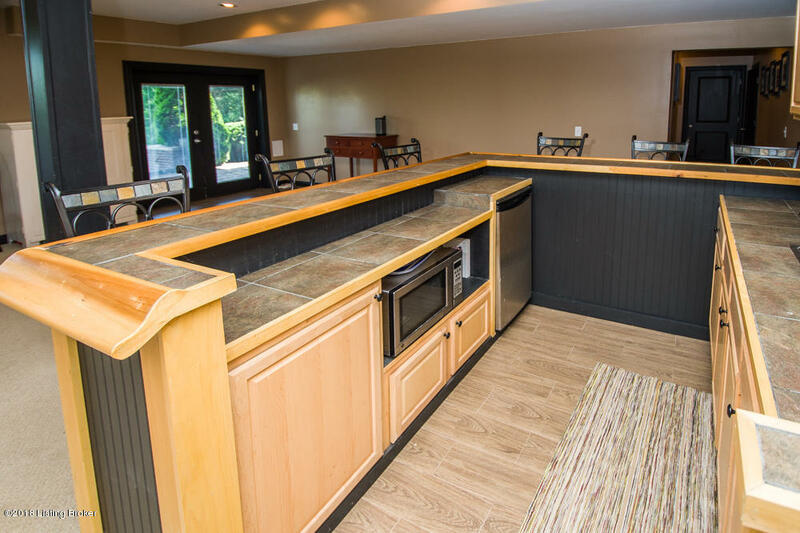 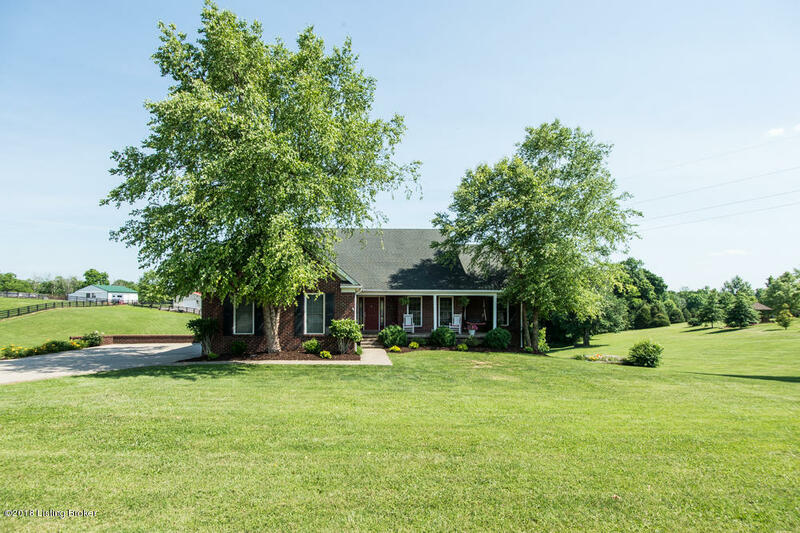 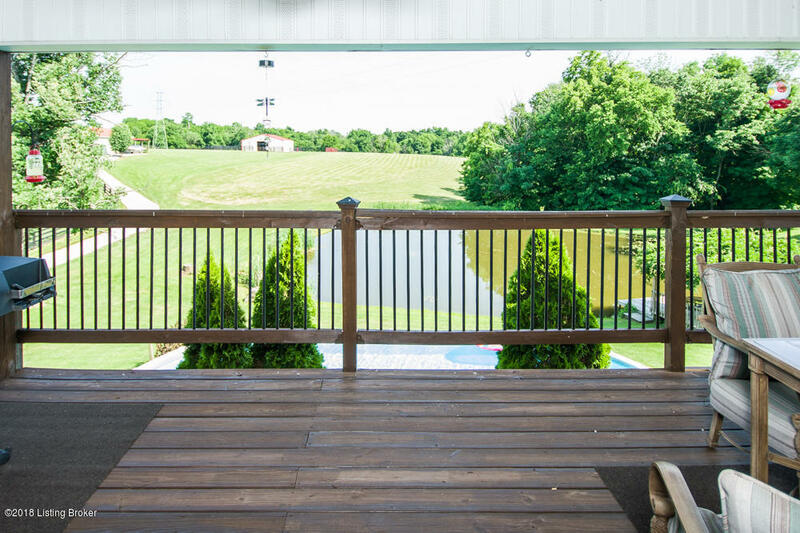 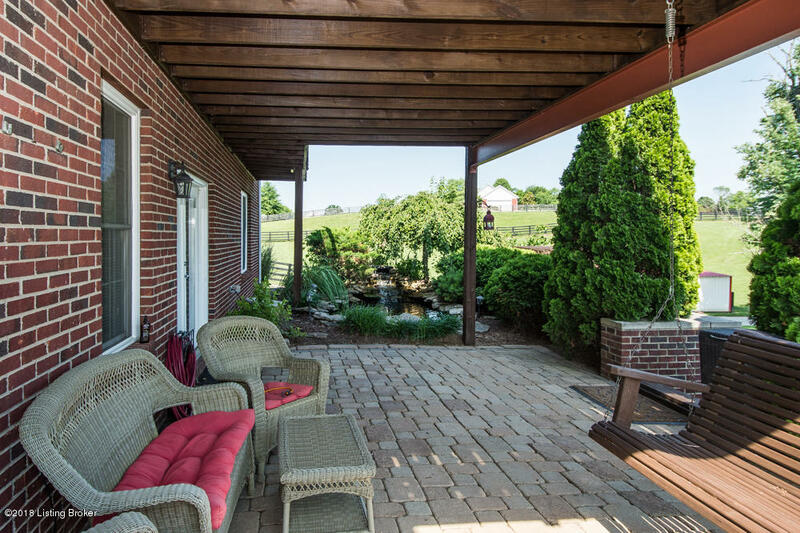 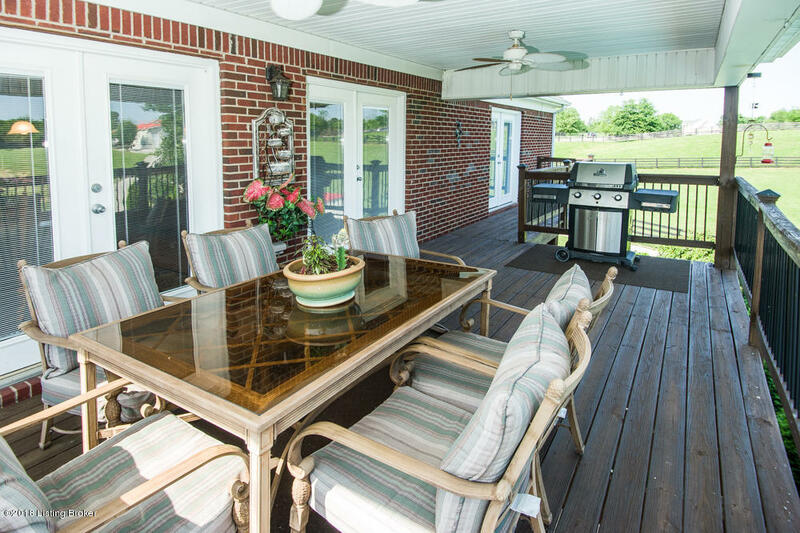 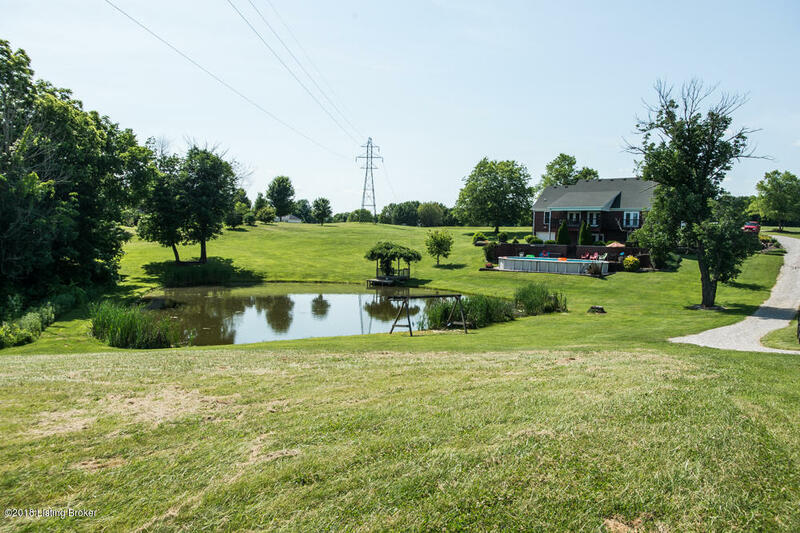 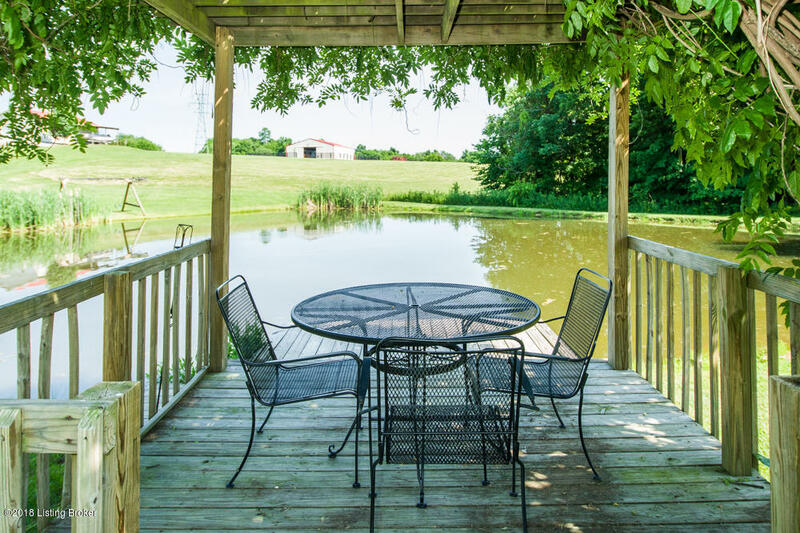 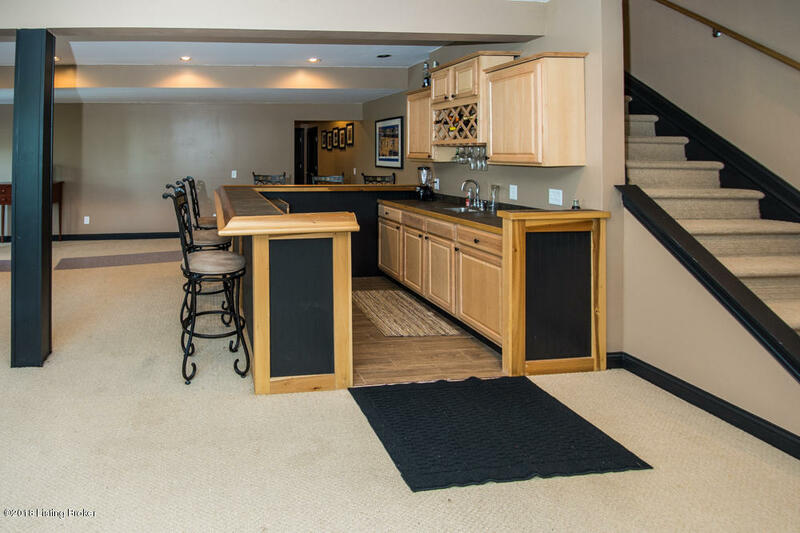 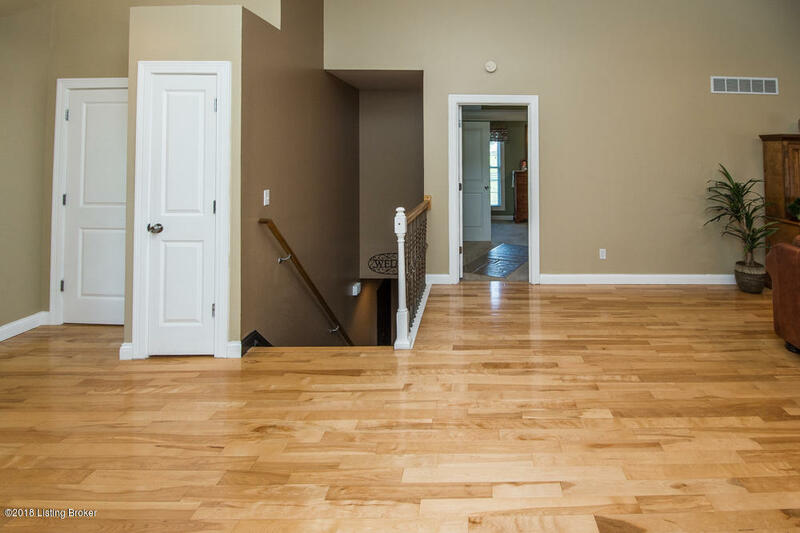 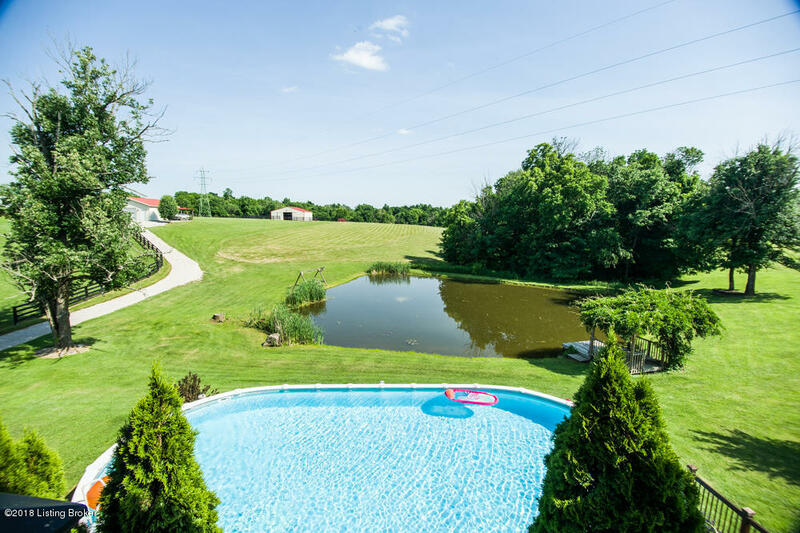 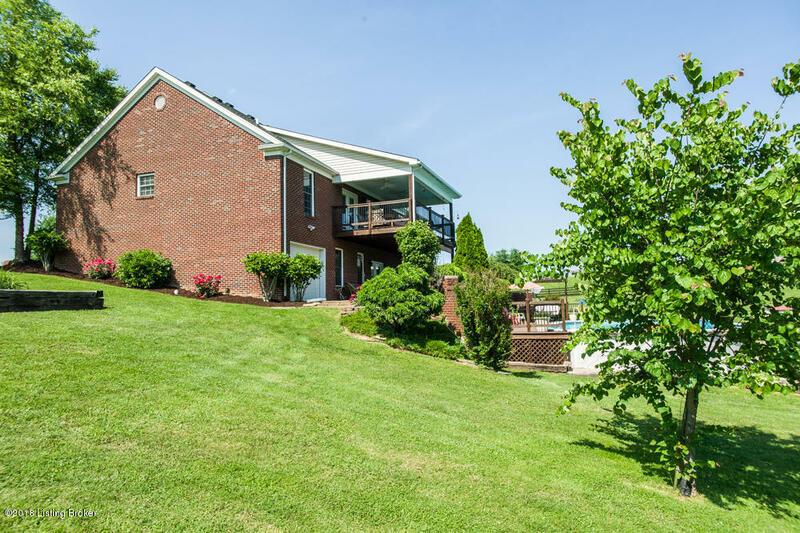 Wave at neighbors from covered front porch or survey your kingdom from covered back porch overlooking pool (above ground but looks in-ground from house), pond stocked w/ bass/bluegill/catfish, barns & paddocks. 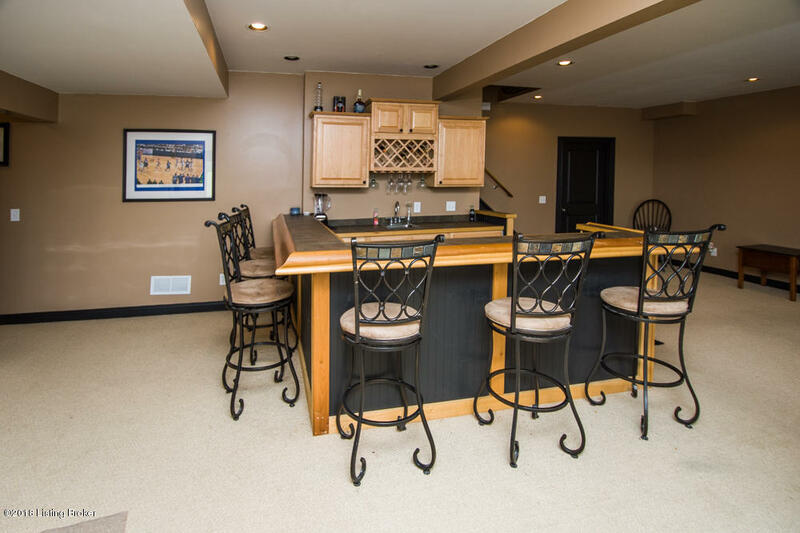 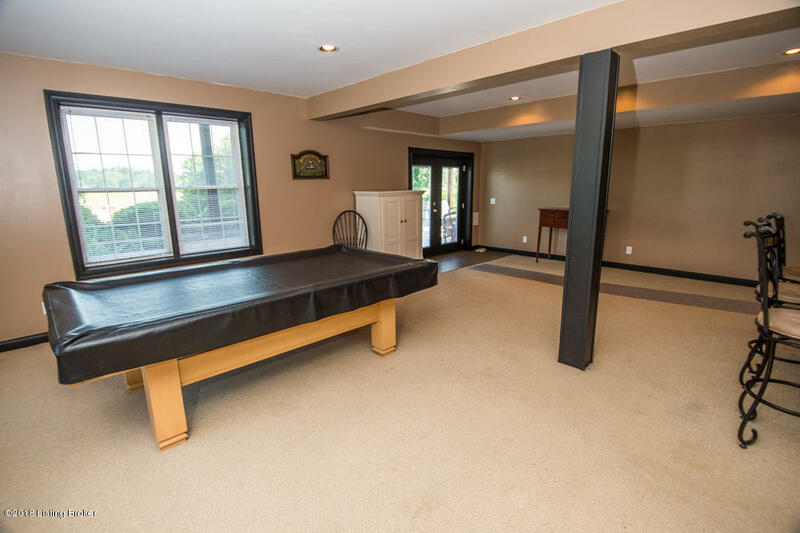 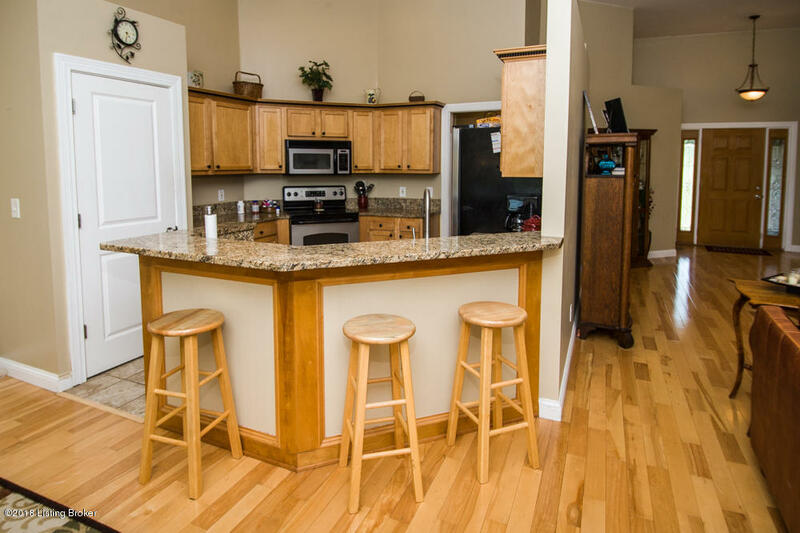 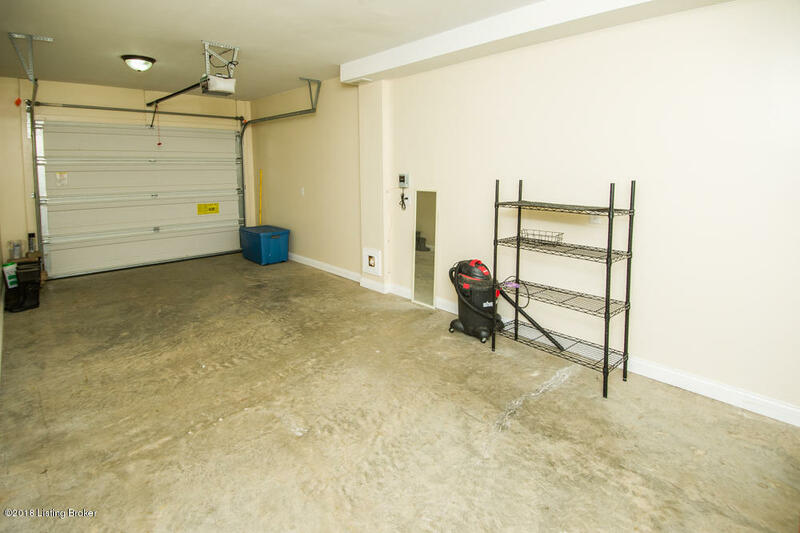 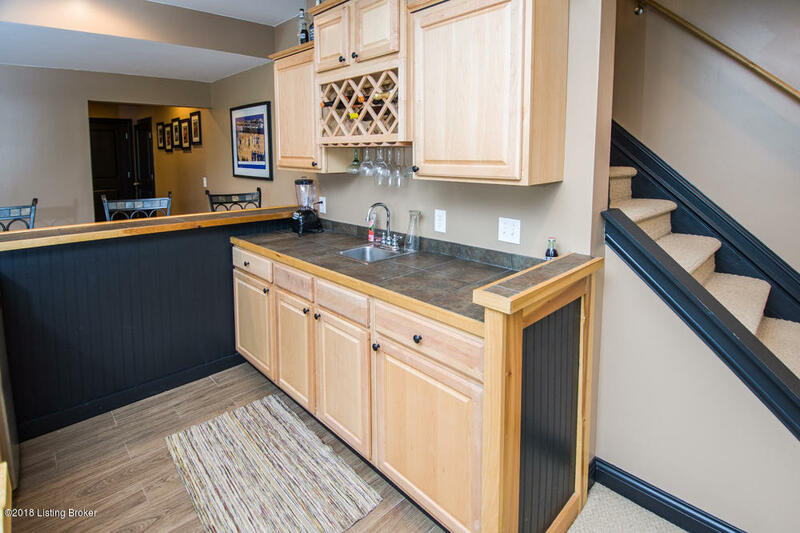 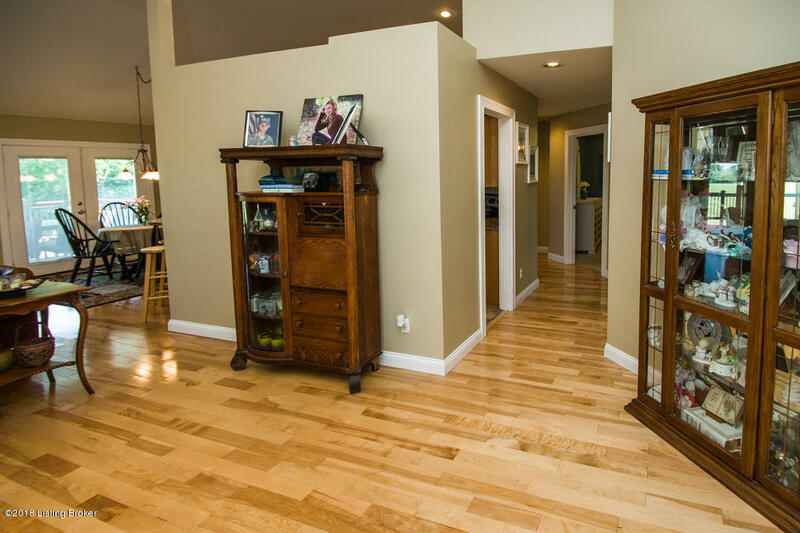 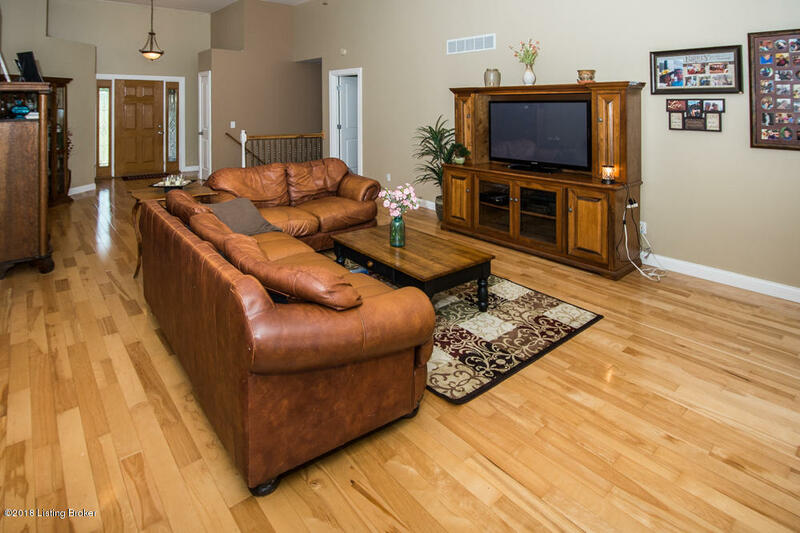 Main: Open concept living/dining/kitchen with hardwood floors, 12' ceilings, granite. 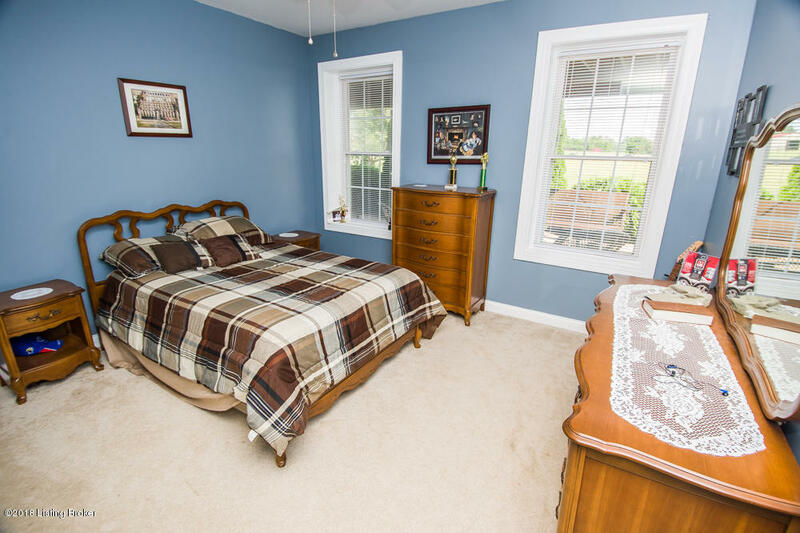 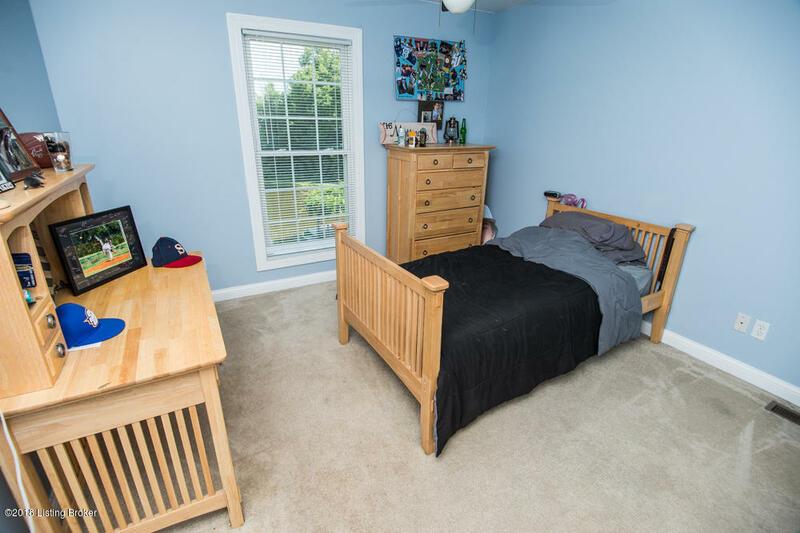 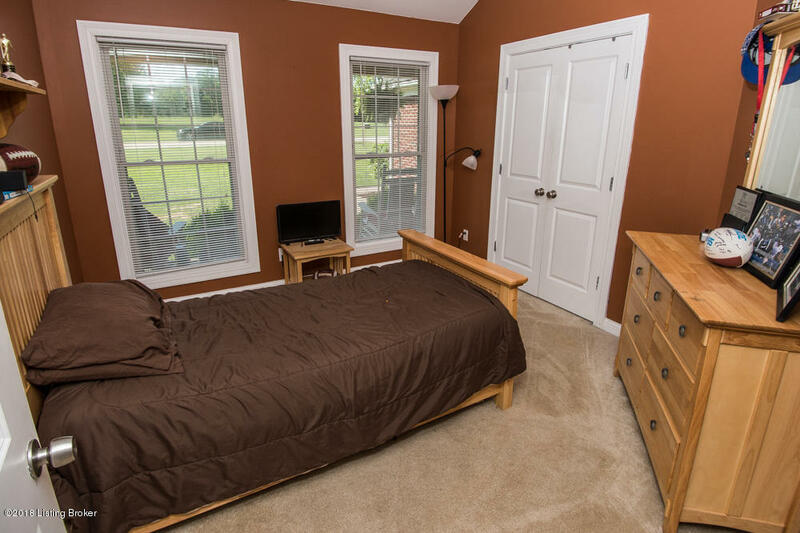 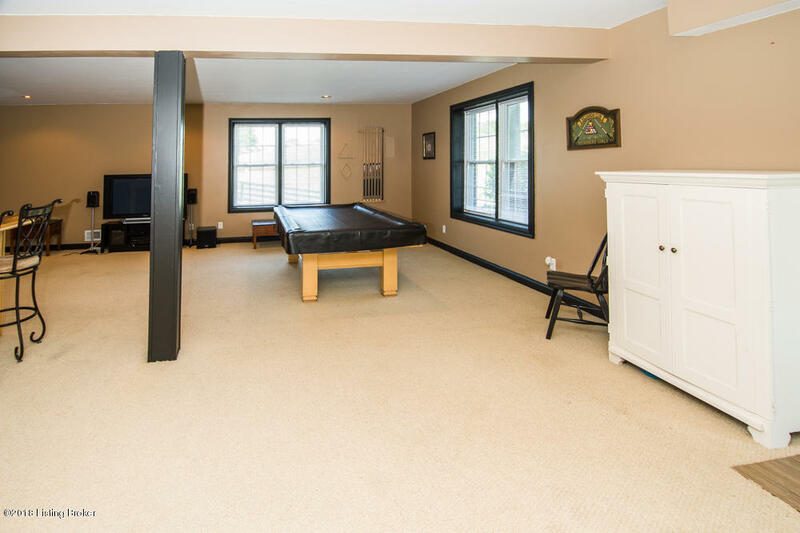 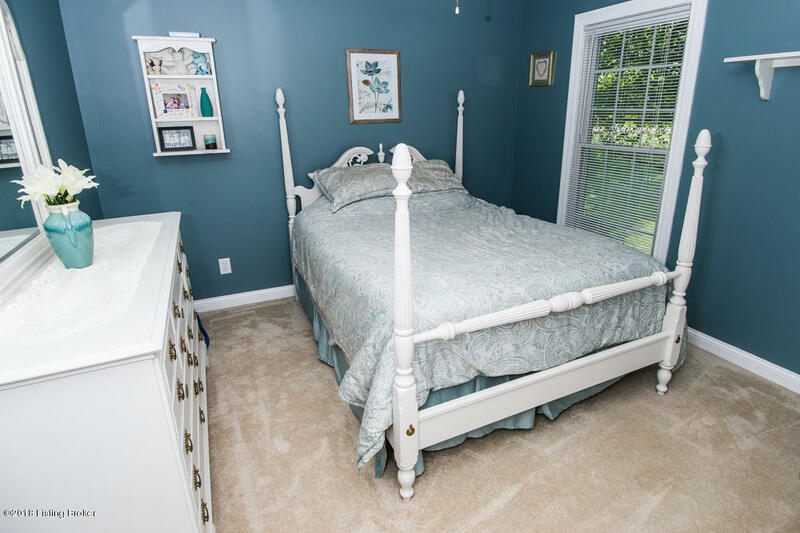 Huge master suite w/ sitting area. 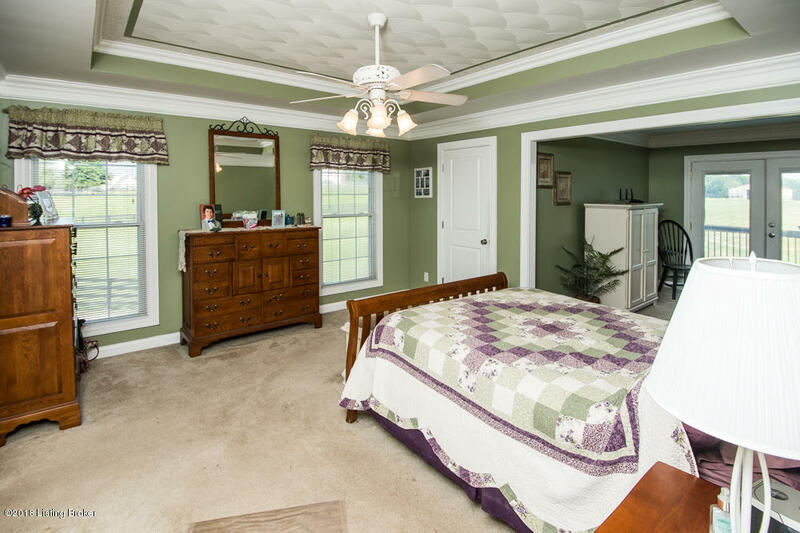 3 more bedrooms & full bath.